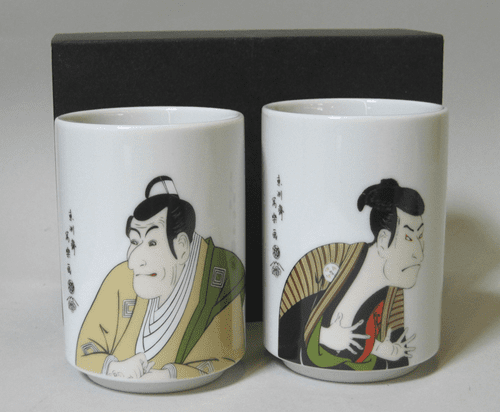 Tea Cups Sharaku 8 oz. 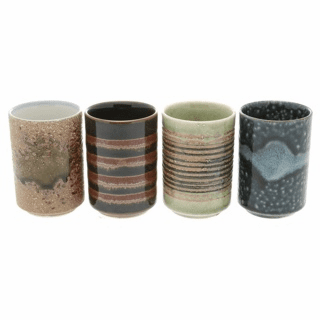 Set of Four Desert Daydreams Tea Cups 5.5 oz. 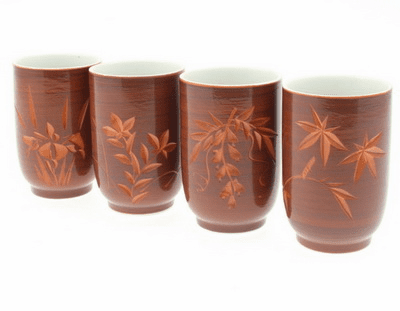 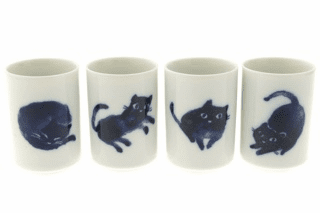 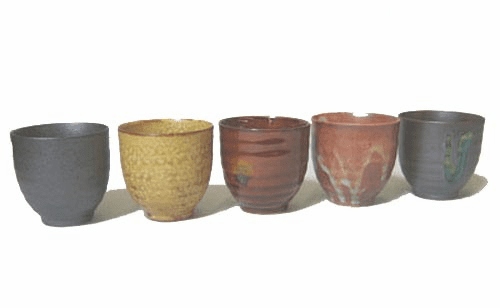 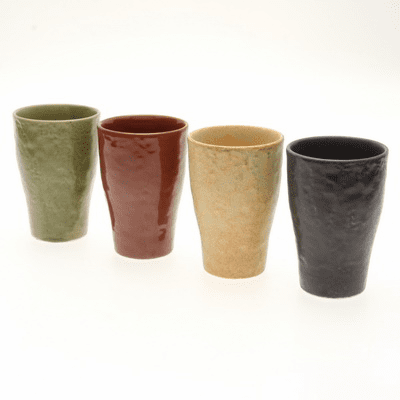 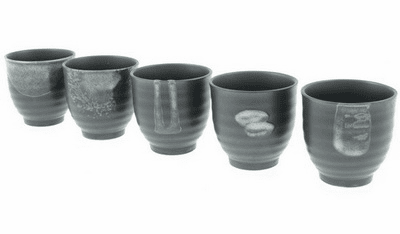 Set of Five Rokubei Ceramic Tea Cups 4.5 oz. 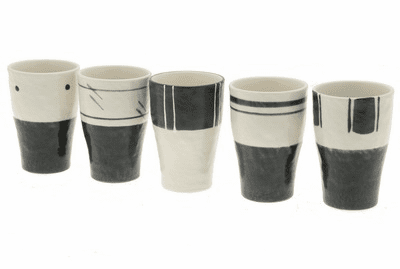 Set of Five Black & Grey Patterns Ceramic Tea Cups 6 oz. 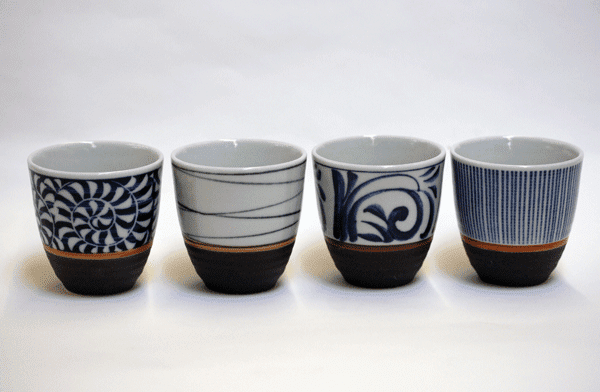 Blue Patterns Black Base Tea Cup Set, 5 oz. 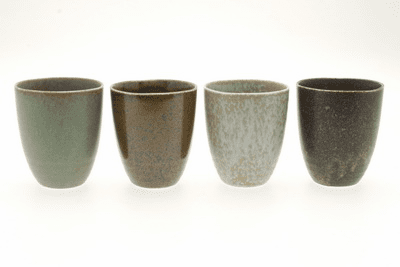 Zen Tea Cups for Five 7 oz. 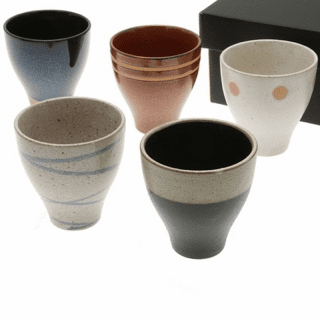 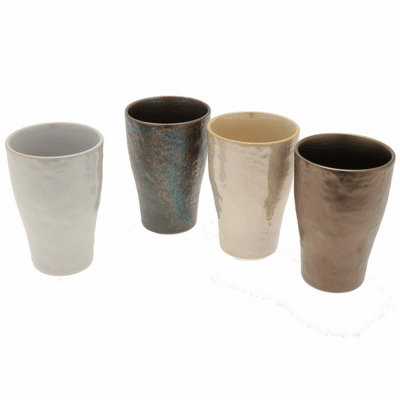 Zen Mono Natural Tea Cups for Five, 6.5 oz.